The main goal of the “Edinenie” fund is to unite the efforts of government, non-commercial and non-government organizations , as well as scientists, religious and cultural workers for the revival of the national morale of Russia. In our opinion, this is possible by familiarizing people with the traditional values of the culture of the Russian Orthodox Church and the national culture. We believe that the main problem of our times is the destruction of the traditional cultural and spiritual values in the world, as a result of the spreading of the aggressively propagated, narrowly democratic “Western” world-view, based on the cult of material values, pseudo-humanism and violence. The result of this is simplification of the meaning of existence, general decline of morals, increase of crime and drug-use, intensification of interethnic conflicts and wars. 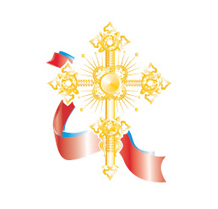 The unique role of Russia is in that while it is a technically developed country with an outstanding scientific and cultural potential, our country also has an enormous spiritual treasure – the tradition of Russian Orthodox Christianity. This combination is a unique opportunity for creating a harmonious social society, where traditional spiritual values are a priority of the national morale. Considering the multiethnic character of our country, we appeal to all the main religions to unite their efforts for the defense of traditional values from the expansion of the modern anti-traditional “Western” world-view. To reach these goals, the “Edinenie” fund establishes and supports different charity and socially relevant programs both on the territory of Russia and beyond.